Manila, PHILIPPINES – The Cobra Energy Drink Ironman 70.3 Philippines obtained a 97.6% rating on a participant satisfaction survey making it the 2nd best Ironman event worldwide. The survey was conducted by the World Triathlon Corporation, promoter and issuer of licenses for all Ironman events, to more than 2,000 participants of the race held in Lapu-Lapu City, Cebu last August 4. The Ironman 70.3 Mont-Tremblant in Quebec, Canada was ranked as number one. Canada also hosted a full Ironman and an Ironman World Championship event this year and is also set to hold all three events again next year. According to Sunrise Events, Inc., the ratings from the WTC survey resulted from points gathered for the following criteria: pre-event activities like the registration and carbo-loading party, actual race management and handling from the swim, bike and run, to hydration and medical support and others like venue, entertainment, participant’s entitlements like medals and the post-event awarding ceremonies. This year’s Ironman 70.3 event in the Philippines was the second time that the race was held in Cebu with the first three years being held in the province of Camarines Sur. Participants revealed via the survey that they liked the attention given to every detail of the race, especially the carbo-loading party hosted by Lapu-Lapu City at Shangri-la’s Mactan Resort and Spa. It included a fast-beat production number with pop-jazz dancers, show violinist Jake Gacanga, a Cebuano DJ and fireworks. Lapu-Lapu City Mayor Paz Radaza, in a statement, congratulated Oponganons “for putting their best foot forward.” She thanked the thousands of public school students who lined up along the race routes in rainy weather to cheer on athletes, barangays that fielded colorful “vintas”, peacekeepers and residents. “We will have to outdo ourselves in 2014,” she said. On the other hand, the race was not only all praises as initial feedback gathered from the participants was that roads were very uneven, especially the roads used by cyclists in the South Reclamation Project tunnel in Cebu City. This fact and the challenge posed by SEI President Wilfred Steven Uytengsu for the event to hit the no. 1 mark by next year’s hosting gives the group the energy to not only aim high for the number 1 rank but also to work hard especially in addressing the identified concerns, so that they get a better chance of securing the top spot. 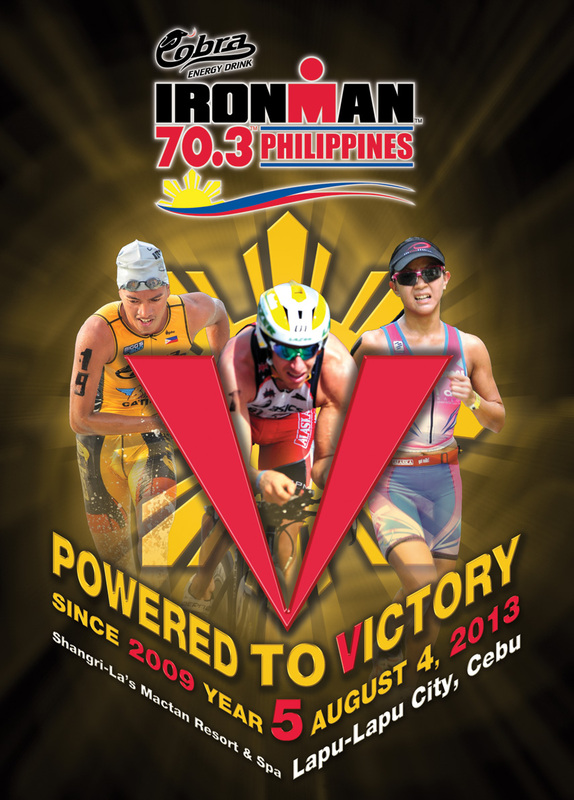 From 400 participants in 2009, the Cobra Energy Ironman 70.3 Philippines has grown rapidly to 1,700 signing up for the event last year and 2,150 participants last August from 35 countries with about 600 on the waiting list. For 2014, the race will be held on August 3 but preparations will already start by next month.